On June 14, 2018, about 1800 eastern daylight time, a Stinson L-5, N45TX was substantially damaged during a forced landing to a lake near Thompson, Georgia. The commercial pilot/owner was not injured. The airplane was operated by the pilot/owner as a personal flight and was conducted under the provisions of Title 14 Code of Federal Regulations Part 91. Visual meteorological conditions prevailed, and no flight plan was filed for the local flight that departed Thomson-McDuffie County Airport (HQU), Thomson, Georgia at 1700. The pilot reported that the preflight inspection, runup, takeoff, and climb were normal. About 40 minutes into the flight, while flying at 2,200 ft. mean sea level (msl) and 10 miles north of HQU, he noticed the oil temperature jumped to the top of the green arc and the oil pressure was near the bottom of the green arc. He reduced engine power, adjusted the mixture to full rich, and attempted to return to the airport. Shortly after calling HQU on the common traffic advisory frequency, the engine suddenly stopped. His subsequent attempts to restart the engine were unsuccessful, and he performed a forced landing to a lake. He further reported that the propeller did not rotate during his attempt at restarting the engine. The pilot reported that he landed the airplane around 60 mph without the flaps extended. The airplane sank and the pilot was picked up by local boaters. The two passenger, high-wing airplane, was manufactured in 1944 and was equipped with a Lycoming, O-435 six-cylinder, 180-horsepower reciprocating engine. The engine had accrued about 1,210 total hours and 711 hours since overhaul. Since the last annual inspection, on September 14, 2017, it had accumulated 10 hours. The pilot held a commercial pilot certificate, with ratings for airplane single-engine land, multiengine land, and instrument airplane. His most recent Federal Aviation Administration (FAA) second-class medical certificate was issued on March 19, 2018. He reported about 528 total hours of flight experience, of which 92 were in the accident airplane make and model. An FAA maintenance inspector conducted a post-accident examination of the airplane. The examination revealed the fuselage and wings were damaged and the airplane was submerged in water. 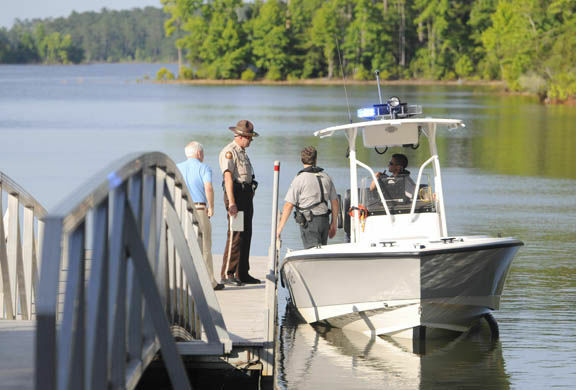 THOMSON, Ga. (WRDW/WAGT) -- Thursday afternoon a Stinson L-5 plane crashed in Clarks Hill Lake, but the pilot escaped with only minor scratches. The pilot was the only person said to have been in the plane. 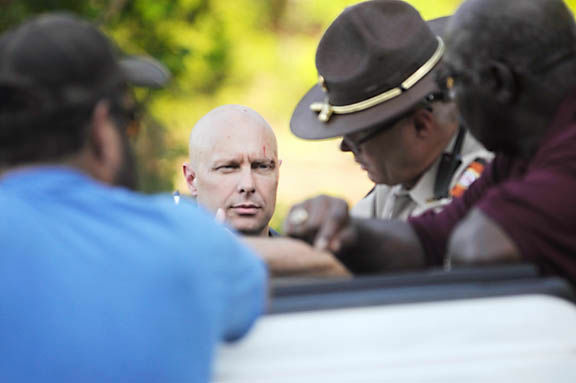 A nearby boater helped the pilot to shore. The Federal Aviation Administration has been contacted.